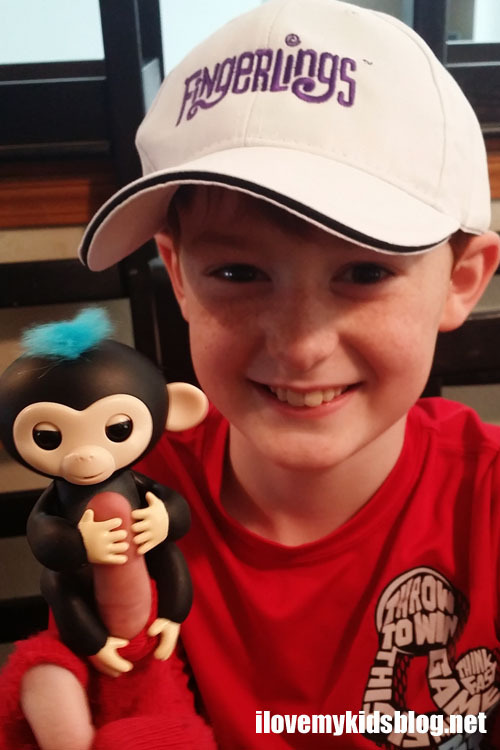 Fingerlings Baby Monkeys by WowWee are the newest interactive robotic toy that every kid will want. Pegged to be one of the hottest toys this holiday season, Fingerlings give everyone a chance to have “friendship at your fingertips”. 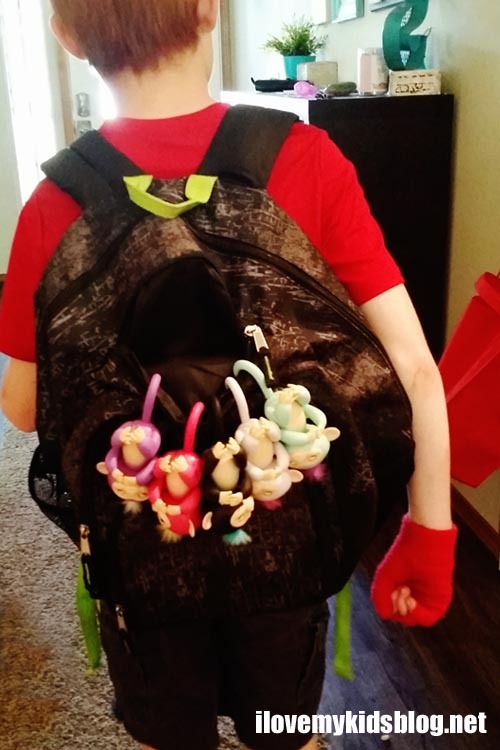 WowWee provided me with a couple Fingerlings Baby Monkeys and asked for my opinion of them before they hit the shelves to the public. I have got to say based off of my first impressions with them, these little critters are adorable. Right off the bat, the price point of these cute critters is perfect! Retailing for only $14.99, having a robotic pet has never been easier. Typically we see robotic pets in the toy industry retailing for a lot more, making it hard to justify purchasing more than one. With an affordable purchase price, Fingerlings can easily be given as gifts for friends and family. They are enjoyed by both boys and girls of all ages. Packaging suggests that Fingerlings be played with by children 5 years of age or older. However, my 2 year old couldn’t stop loving on our cute cuddly fingertip friend. The age suggestion is good to follow, but truth be told, I would easily buy one for a 4 year old. Fingerlings are made to interact with the person holding it. Children over the age of 5 can easily operate and interact with it, reducing the risk of breaking it by dropping, throwing, or handling it wrong. 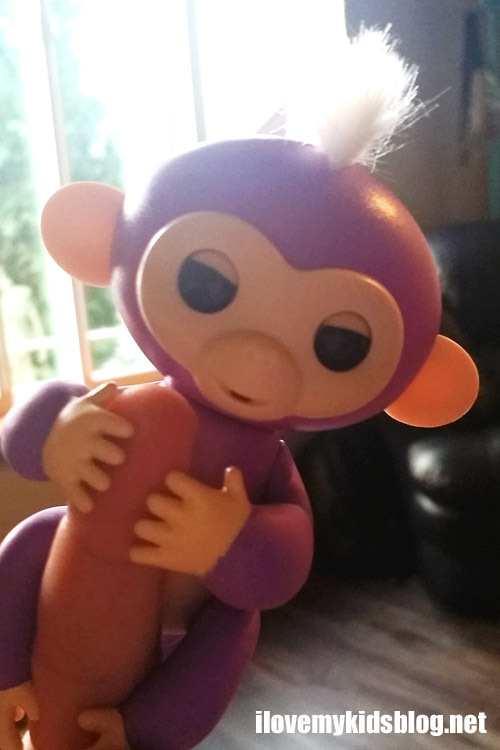 Fingerlings are a unique toy that can be taken everywhere you go. 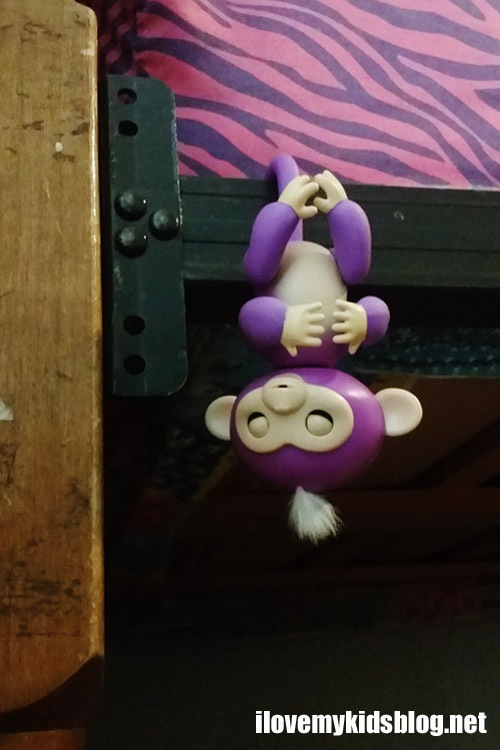 Sitting snug on a finger tip, or hanging on a belt loop, Fingerlings are easily portable. Their size is perfect for travel just about anywhere. This feature allows for your new friend to follow you to school, dinner, or to the park. 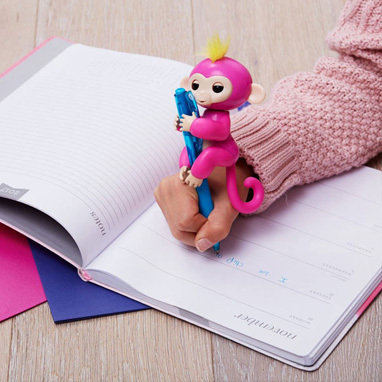 You could even read a good book and use the Fingerlings Baby Monkey as your page holder. Lightweight and loveable…these little critters provide a cuteness overload! At the moment, there are six different Fingerlings available for purchase. Each one has a cute, fun, and unique personality. There are many ways to interact with this fingertip friend. Responding to sound, touch, and movement, you can get your Fingerling to laugh, sing, sleep, burp, toot, and react with 40 different sounds and animations. There are three different ways to position Fingerlings, each with different responses. The first is having it upright, either clinched to your finger or anything else it can grip onto. Items such as books, pens, straws, plants, or bedrails make great places for these baby monkeys to hang out. Secondly, you can hang them upside down from their tail. The tails hook easily to the end of a finger, hanger, tree branch, backpack or belt loop. When upside down, sound and movements are different than when upright. The third and final position the Fingerlings play in is laying down, or being cradled. Gently rub the top of the head or rock back and forth to put your Fingerlings to sleep. Remember, this is a robotic animatronic toy. So even if you are not holding it, don’t be shocked when the head turns, eyes blink, or sounds start coming from it. If you leave it on, but walk away from it, fear not…after five minutes of inactivity it will go into power saving mode so that the batteries do not get wasted. There is no doubt that Fingerlings are going to be a desired toy by many this holiday season. The only thing that would make these cute fingertip friends completely irresistible would be if they interacted with each other when all together. It is fun knowing that each of the six Fingerlings Baby Monkeys make different sounds. However, the desire to own more than one could be greatly increased if, when all together, the Fingerlings responded to each other by sound and movement. As it is now, when all together, the only group interaction that occurs is when you clap your hands. Each Fingerlings Baby Monkey sings a little cheerful song at the same time. 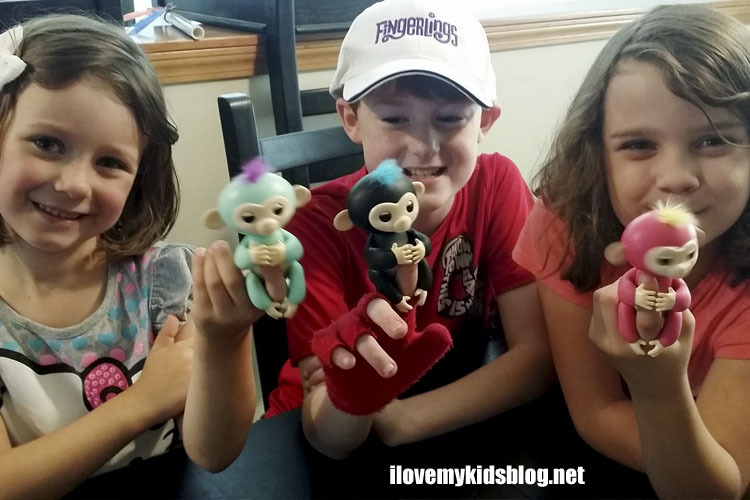 Fingerlings Baby Monkeys by WowWee are available NOW everywhere toys are sold.